Cooperative Extension at Tuskegee University. He holds a Ph.D. in Agricultural Economics from Justus-Liebig University, Germany. 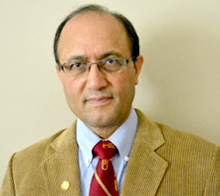 Prior to coming to Tuskegee, Dr. Karki worked as a Planning Analyst at University of Maryland, Eastern Shore (MD); Adjunct Professor of Macro and Micro Economics at Georgia Military College, Columbus Campus (GA); University of Phoenix at Birmingham Campus (AL) and Columbus Campus (GA); Institutional Research Statistician at Alabama State University, Montgomery (AL); and Research Analyst at Gordon State College, University System of Georgia. Previously, he served as the Under Secretary, Ministry of Agricultural and Cooperatives, Nepal for nearly two decades. He was an editor of Issues and Challenges in Rural Development in Farming and Rural Systems Economics (Volume I (86) and II (87)). He is a reviewer for the Journal of the National Extension Association of Family & Consumer Sciences (NEAFCS). He is a member of American Economic Association (AEA), Agricultural & Applied Economics Association (AAEA), Southern Agricultural Economics Association (SAEA), Southern Rural Sociological Association (SRSA), Association for Financial Counseling, Planning and Education (AFCPE), Association for Temperate Agroforestry (AFTA), National Extension Association of Family and Consumer Sciences (NEAFCS), The Alabama Sustainable Agriculture Network (ASAN), Alabama Asset Building Coalition (AABC), and Nepal Agricultural Economics Society (NAES). He is the former President of Blood Donors of America, a public charity [501 (c) 3] organization. Dr. Parajulee earned B.Sc. (Agri. Econ.) (1987) from Himachal Pradesh, India, and M.S. (1991) and Ph.D. (1994) in Entomology from the University of Wisconsin-Madison. 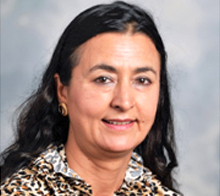 Dr. Parajulee joined Texas A&M University in 1994 as a cotton entomologist/research scientist and is serving as the Cotton Entomology Program Leader since 2001. Dr. Parajulee is a leader in cotton entomology research, teaching, and service, with an exemplary record of scientific research, publication, and delivery of pest management technologies to the producer clientele of Texas and beyond. He has authored/co-authored 103 refereed and over 350 non-refereed publications, organized several international invited symposia, and has presented 150 invited and 250 submitted papers. 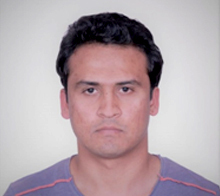 He is active internationally with plenary/keynote/special speaking roles in Egypt, China, India, Colombia, Nepal, Uzbekistan, United Kingdom, USA, Canada, Mexico, South Korea, South Africa, Australia, Germany, Brazil, and Ghana, and was also a Fulbright Senior Fellow in Nepal and Uzbekistan (2014). He received the Texas A&M Vice Chancellor's Award in Research Excellence (2008), Faculty Fellow Award (2009), Regents Fellow Award (2010), and Texas A&M Vice Chancellor's Award in Team Research (2015). He is a member of Entomological Society of America (ESA), including ESA International Branch President (2017), Society of Southwestern Entomologists (President, 2010), Society of Overseas Nepalese Entomologists, Association of Nepalese Agricultural Professionals of Americas (NAPA), and High Plains Association of Crop Consultants. Dr. Parajulee is also an Adjunct Professor at Texas Tech University, Honorary Professor at Nanjing Agricultural University, China, and an Executive Member of the Texas A&M University Advanced Leadership Program. Dr. Wagle is a Research Ecologist at the United States Department of Agriculture, Agricultural Research Service (USDA-ARS). He holds Ph.D. (Crop Science) from Oklahoma State University, USA (2013). As an Adjunct Faculty, he supervises/mentors graduate students at Oklahoma State University. His major research interests include biosphere-atmosphere interactions, carbon and water cycles of terrestrial ecosystems, and remote sensing of vegetation. He has published 32 peer-reviewed journal articles, a book chapter, several non-peer reviewed articles and proceedings, and over 70 conference abstracts/posters. He has served as a Member Secretary/Editor of Global Journal of Agricultural and Allied Sciences (GJAAS, a publication of the Association of Nepalese Agricultural Professionals of Americas - NAPA), Guest Editor for Special Issues of Sustainability and Remote Sensing Journals. He is also a reviewer of several scientific journals of Agriculture, Meteorology, Atmosphere, Ecology, Ecosystems, Environment, Climate Change, Bioenergy, and Remote Sensing. He has received Certificate of Merit and Outstanding Performance Award from USDA (2017), Outstanding Reviewer Awards (Environmental Research Letters in 2017, ISPRS Journal of Photogrammetry and Remote Sensing in 2017, and Agricultural and Forest Meteorology in 2016), and Outstanding Ph.D. Student Award (Plant and Soil Sciences Department, Oklahoma State University in 2012). Dr. Wagle was awarded the President’s Volunteers Service Award by the White House with a Silver Pin (2018) and a Certificate of Appreciation by NAPA (2018) for his outstanding community service. Currently, he is a member of American Geophysical Union (AGU) and NAPA. Dr. Acharya currently works at Corteva Agrisciences as Research Scientist in Genomics and Bioinformatics space. He holds Ph.D. (Plant Breeding, Genetics and Genomics) from The University of Georgia (2014). As a research scientist in leading agriculture company, his research interests are using the genomics sequence data for aiding cultivar development. He has several peer-reviewed journal articles, several non-peer reviewed articles and proceedings, and few patents/Plant variety. He is also a reviewer of few scientific journals in Genomics. He is the joint-secretary of Association of Nepalese Agricultural Professionals of Americas (NAPA). He enjoys DIY, movies and travel in his leisure time. Ms. Kemika Bhandari grew up in Chitwan and earned a B.Sc. agriculture degree from Institute of Agriculture and Animal Science, Rampur in 1998 and served at Nepal Agriculture Research Council (NARC) for four years. Her work at NARC involved breeding and development of new wheat varieties, seed research, and germplasm conservation. She came to the United States in 2002 and ever since has been engaging in several social, agricultural, charity and civic volunteering projects. She was a member of the Working Committee that established NAPA in 2016. She is also one of the only five Founding Life Members of NAPA. She has been active in NAPA Membership Drive and other ongoing activities, including fund raising, public communication, anchoring pertinent news and information to update the Facebook, informing women agriculturists to create Nepalese Women Agricultural Professionals, a wing of NAPA, and representing NAPA in various forums, meetings, and gatherings, and reaching out to the member community. Ms. Bhandari served as Sports Coordinator for First Biennial NAPA Conference in Oklahoma City that organized a successful Golf Tournament. Ms. Bhandari’s expertise includes expanding the organizational visibility through networking and public outreach. Born and raised in Birgunj Nepal, Dr. Karna completed her Masters’ in Agriculture Systems at the Asian Institute of Technology, Thailand. In 2006, she was awarded with DAAD scholarship to pursue PhD in Agricultural Economics at Justus Liebig University of Giessen in Germany. Based on academic excellence and scientific contribution, her PhD research was endorsed by International Scientific Committee of Global Land Project. Upon completion of her doctoral degree, she volunteered as a country partner of Nepal at the International Farm Comparison Network in Germany. Later, She worked as a consultant at the Rodale Institute, a pioneer organization in farming and research of organic agriculture in USA. Strengthening her teaching passion, she served as an Adjunct Faculty at the Department of Business Administration in Maharishi University of Management, Iowa and further as a Guest Lecturer at the Wake Forest University in North Carolina, USA. 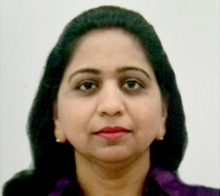 She has published several peer reviewed journal articles, conference abstract/posters, a book and a book chapter. She is also a reviewer of African Journal of Agricultural Research. Her research interests include Agriculture, Natural Resource and Environmental Economics, as well as Food Safety and Food Policy. Currently, she is working full time at the FoodChainID, an industry leader in food safety and Non-GMO certification business in North America. 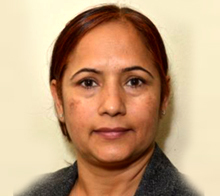 Dr. Khatiwada has over 20 years’ experience in international development. Currently, he works with the University of Notre Dame as a Monitoring and Evaluation Specialist for global development projects. 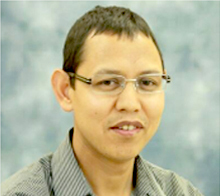 His research focuses on impact evaluation with special emphasis on experimental design and mixed method. Prior to joining Notre Dame, he worked with the University of Maryland College Park and implemented policy research in international settings. Dr. Khatiwada was involved in evaluating impacts of national parks on poverty and inequality in Mozambique and Namibia, impacts of microfinance on poverty in a World Bank funded project in Ghana, community level effects of M-PESA (mobile money) in a Bill Gates Foundation funded project in Kenya, and food security effects of community water project in a USAID funded project in eastern Kenya. From 1993 to 2001 he developed and implemented various rural development projects—economic development, agricultural, community forestry, infrastructure development, and gender empowerment—with community people in Nepal. Tanzania: Evaluation of soybean and poultry value chain (USDA funded). He holds a Ph.D. in Rural Sociology, specializing community development, from the University of Missouri, USA, an MS in Rural Sociology and Environmental Science from University of the Philippines, a BS in Agriculture from Tribhuvan University, Nepal and a Graduate Certificate in Geographic Information System (GIS) from the University of Missouri. Dr. Manoj Karkee was born and raised in Bhojpur where he completed his high school. He moved to Kathmandu for Diploma in Civil Engineering and then continued to his Bachelor’s in Computer Engineering at Institute of Engineering (IOE), Pulchowk campus. After teaching at IOE for about a year, Dr. Karkee moved to Bangkok, Thailand to attend Asian Institute of Technology where he earned his MS in Remote Sensing and GIS. He then spent the next five years in Ames, Iowa working on his doctoral research, earning his PhD in Agricultural Engineering and Human Computer Interaction from Iowa State University in 2009. 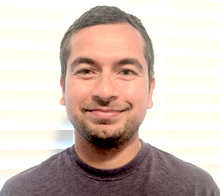 Dr. Karkee joined Washington State University in 2010 where he developed and is leading a strong research program in agricultural automation and robotics (https://labs.wsu.edu/karkee-ag-robotics/). So far, more than two dozen projects (totaling ~$4 million to Karkee, $20 million cumulative) have been funded to his lab by federal, state and local funding agencies. Major research projects include robotic apple and cherry harvesting, fruit tree and berry bush pruning, blossom thinning, water and nutrient stress monitoring, robotic weed control in vegetable crops, and Big-data-based SMART irrigation system for fruit crops. Dr. Karkee have been awarded two patents, has published five book chapters, 52 referred journal articles, and 11 peer-reviewed conference proceedings, and has been an invited speaker at numerous national and international conferences and universities. 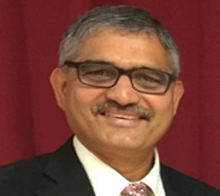 Dr. Karkee is currently serving as an elected chair for IFAC Technical Committee 8.1, Control in Agriculture, as an associate editor for ‘Transactions of the ASABE’, and as a guest editor for journal ‘Robotics’. 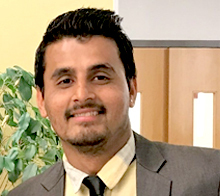 Mr. Poudel is currently pursuing his master’s degree in Animal and Poultry Science at Tuskegee University, Alabama, USA and working as a Graduate Research Assistant (2016-Present). He received his bachelor’s degree in agriculture science from Paklihawa Campus, Institute of Agriculture and Animal Science (IAAS), Tribhuvan University, Nepal (2010-2014). He has also worked as a Livelihood Officer at International Nepal Fellowship-Nepal in Mugu District, Nepal (2015-2016). Mr. Poudel has published one first-authored and two co-authored peer-reviewed journal articles and few are under review process. He has also presented few research papers in national and local conferences. He received Outstanding Academic Achievement Award 2018 by The Honor Society of Agriculture, Gamma Sigma Delta and Departmental Outstanding Graduate Student Award 2017-2018 Academic Year. He is a member of American Society of Animal Science (ASAS) and Association of Nepalese Agricultural Professionals of Americas (NAPA). His research focus/interest includes sustainable year-round forage production and management, sustainable agroforestry systems, small-ruminants production and management. He is a potential PhD candidate at Virginia Tech University in Crop, Soil and Environmental Science. 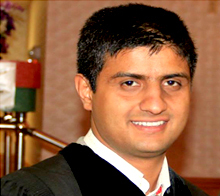 Bijesh Mishra completed Master of Science in Environmental Studies from KSU and B. Sc. (Agriculture) from Tribhuvan University, Nepal. Mr Mishra is starting PhD in the Department of Natural Resource Ecology and Management at Oklahoma State University from August 2018. His interest lies in the study of the impact of human activities on Agriculture, Environment, Ecology, Climate Change and Natural Resource Management. He is also interested in the application of social and economic theories, econometric modelling, geospatial techniques, mapping and spatial modelling, big data and visualization and use of UAVs in research. Mr Mishra has presented several papers and posters in national and regional level competitions, coauthored in several reports, conference proceedings and papers. He has received Academic Excellence Award at KSU and several graduate research competition awards in national and regional competitions. Mr Mishra is also associated with Southern Agricultural Economics Association (SAEA), American Association of Geographers (AAG), Southern Rural Sociological Association (SRSA), Kentucky Academy of Science (KAS), Kentucky Association of Mapping Professionals (KAMP), NIST Alumni Association (lifetime member) (NISTAA) and Association of Nepalese Agriculture Professionals of Americas (NAPA). He also served as a president of Gandaki Student Society, Institute of Agriculture and Animal Science, Rampur Campus, Chitwan.